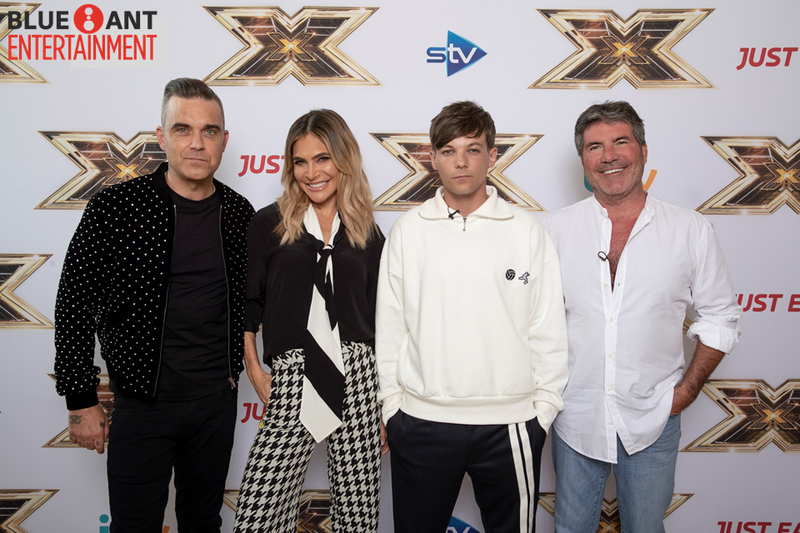 The X Factor UK is thrilled to announce Robbie Williams, Ayda Williams and Louis Tomlinson will join Simon Cowell on the new-look judging panel for the hit singing talent show. The three new judges appeared with Simon at a press conference at Somerset House in central London where they were officially revealed. Robbie is a global superstar who has sold more than 75 million albums over his career and won 18 BRIT Awards - more than any other artist in history. Robbie has been playing to sold out stadiums across the world over the past year on his 'The Heavy Entertainment Show Tour’ - which has seen him perform to more than 1.25 million fans across the UK, Europe and Australasia. Robbie released the platinum-selling ‘The Heavy Entertainment Show’ album in November 2016 - it debuted at Number 1 on the UK album chart, giving Williams his 12th Number 1 solo album. Ayda Williams, actress, presenter and wife to Robbie for eight years - will be competing with her husband to claim the winning spot on this year’s show. Ayda has an invaluable inside take on how the music industry works and knows first-hand what it takes to forge a successful career. It is the first time on The X Factor UK that a husband and wife have been judges. Louis is the first judge to have also been a contestant on the show. As a member of One Direction he has sold more than 150 million records worldwide and achieved more than 100 global No1s. One Direction were the biggest selling UK act globally for three consecutive years and in 2013 they were overall the biggest selling act in the world. As a solo artist, Louis’ single Back to You hit No.1 in 37 countries and has been streamed more than 220 million times. He recently won the 2018 iHeartRadio award for Best Solo Breakout and is currently recording his debut solo album. Music mogul and show creator Simon has been the mastermind behind some of the music industry’s biggest acts from Leona Lewis and One Direction to Little Mix and James Arthur. Acts from The X Factor UK have sold more than 250 million records globally to date. Sharon Osbourne will also return as a judge for The X Factor UK’s live shows while Dermot O’Leary is back as presenter. The X Factor UK Season 15 will air same day as the U.K. on Blue Ant Entertainment this September. Blue Ant Entertainment is available on Blue Ant Entertainment is available on SKYcable channels 53 (SD) and 196 (HD), SKYdirect channel 35, Destiny Cable channel 53, and Cablelink channels 37 (SD) and 313 (HD).